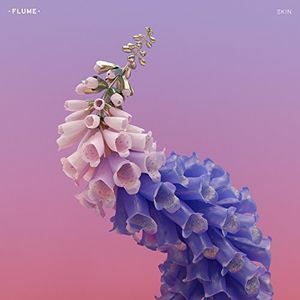 Skin is the highly-anticipated sophomore album from 24-year-old Australian producer Harley Streten aka Flume and follow-up to his breakout 2012 self-titled debut. After releasing his debut in Australia in November 2012 on Future Classic, Flume experienced wildfire success winning 2013’s Triple J Award for Australian Album of the Year and four ARIA Awards for Producer of the Year, Best Male, Breakthrough Artist and Best Dance Release. Skin’s fast rising lead single “Never Be Like You” features Kai while the album’s recently unveiled second single “Say It” features Tove Lo. Additional guests on Skin include Vic Mensa, Kučka, Tove Lo, Vince Staples, Allan Kingdom, Raekwon, Little Dragon, Aluna George, MNDR and Beck.